This study relates the ability in performing remote control tasks with 3D video feedback and the users’ quality of experience. Subjective quality experiments have been compared to the alignment error made by the user while operating a radio controlled car. 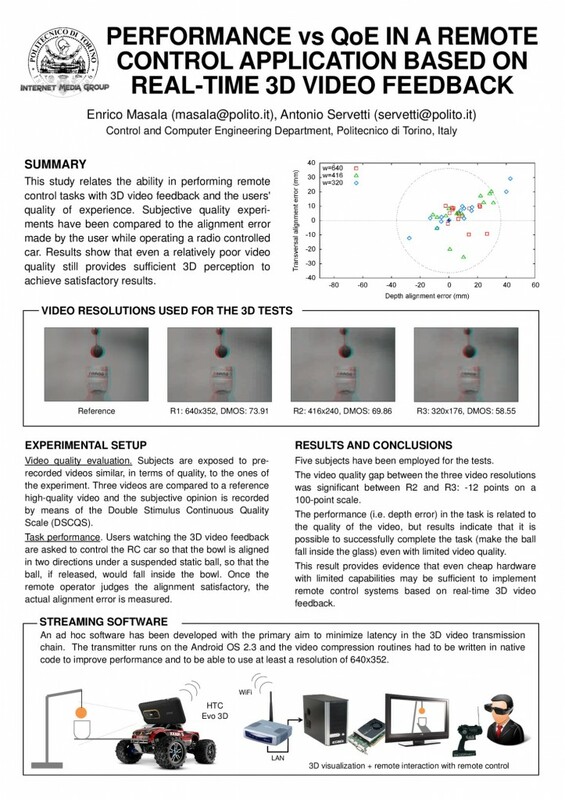 Results show that even a relatively poor video quality still provides sufficient 3D perception to achieve satisfactory results.